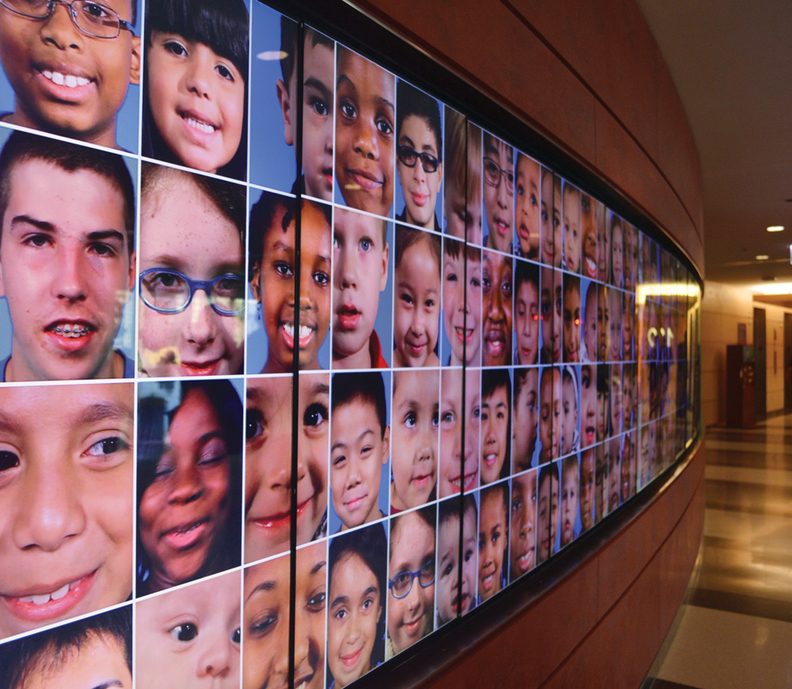 Donations to Lurie Children's Hospital in Chicago support the hospital in general, such as its video wall. Children's hospitals could be unintended victims of changes handed down by the Trump administration's sweeping tax reform law. That's because the Tax Cuts and Jobs Act, signed into law in December 2017, could disincentivize charitable giving by convincing millions of tax filers to go from itemizing their deductions to taking the standard deduction, thus eliminating the tax bonus for charitable donations. The law doubled the value of the standard deduction individuals and couples can claim on their income taxes, making it a more attractive option than itemizing deductions, which lets filers list individual deductions and receive requisite tax breaks, including for donations to children's hospitals. Filers can choose whichever option yields a higher deduction. “This could impact us dramatically and obviously I hope it doesn't, but we're watching that,” said Jennifer Darling, CEO of the Children's Hospital Colorado Foundation. Children's hospital executives interviewed for this article said while they're not seeing slowdowns in giving yet—especially not during peak giving season in November and December—they worry that could change in 2019, especially after donors work with tax preparers to file their returns in April and come to understand the tax law's implications. The change isn't likely to affect the behavior of smaller donors who give a couple hundred dollars per year. Nor will it affect those who give hundreds of thousands or even millions of dollars per year. Rather, it's the middle-tier donors hospitals are worried about losing. The Children's Medical Center Foundation, which supports children's hospitals in Dallas and Plano, Texas, is already seeing a decline in its middle tier of donors, which it considers those who give between $10,000 and $1 million, said Brent Christopher, the Dallas-based foundation's president. The standard deduction for joint filers is now $24,000, up from $13,000. That, coupled with the fact that deductions for mortgage interest and property taxes are now limited to $10,000, is expected to dramatically increase the number of filers choosing standard deductions. The number of itemized filers is expected to shrink from 46.5 million in 2017 to about 18 million in 2018, according to the Joint Committee on Taxation, implying that 28.5 million couples will opt for the standard deduction. Consider a family who earns $100,000 a year, typically gives $10,000 in charitable donations and plans to deduct the maximum $10,000 on their property taxes. That $20,000 total is less than the standard deduction, so the family would likely opt for the standard deduction. “So they would get absolutely no tax benefit to giving $10,000 to a charity, whether it's to the children's hospital in full or whether part of that $10,000 is distributed to other entities,” said Dr. Karen Meador, senior physician executive at the BDO Center for Healthcare Excellence & Innovation. Not only is itemizing deductions more work, it also exposes a filer to additional audit risk, Meador said. How much a specific hospital could be affected depends on how much of its total fundraising comes from individuals versus organizations. In fiscal 2018, 68% of donations hospitals received came from individuals, according to the Association for Healthcare Philanthropy. At the Children's Hospital Colorado Foundation, 85% of donations come from individuals, making the hospital more vulnerable to the potential changes. The Children's Institute of Pittsburgh, by contrast, gets only half of its total donations from individuals, a trait that could be advantageous in this case, said Emily Peters, the hospital's vice president of institutional advancement. Overall fundraising numbers are still strong, however, thanks to stable income from larger gifts. But even so, Christopher worries the new law, which removes the giving incentives for that very group, could hurt the foundation. “We had already seen a little bit of a decline in the midrange of giving, which again may be exacerbated now by the influence of the provisions of the new tax law,” he said. Most children's hospital administrators said the tax law won't change their messaging to potential donors. Campaigns will still focus on how the money is used: the life-threatening illnesses cured, the high proportion of Medicaid patients treated and the innovative research being performed. “That's where we spend all of our time—communicating what impact the donor can have on children,” said Tim Robinson, chief financial officer of Nationwide Children's Hospital in Columbus, Ohio. Administrators agreed that donors are more driven by their emotional desire to give to an organization they believe in and less by tax incentives. Some believe the tax law could also have positive effects on philanthropies. In addition to the lower tax rate, lots of people will receive larger deductions under the new law than in the past, said Patricia Fries, director of gift planning for University Hospitals and Rainbow Babies & Children's Hospital in Cleveland. On top of that, the tax law repealed the so-called Pease limitation, which capped high earners' itemized deductions. The whole point of tax reform was to boost the American economy: to grow gross domestic product and household wealth, said Christopher of the Children's Medical Center Foundation. Betsy Chapin Taylor, president of consulting firm Accordant Philanthropy, said it's still unclear what, if any, impact the tax law will have on children's hospital fundraising. Some stakeholders and lawmakers are championing the idea of a universal charitable deduction that individuals and couples can take on top of the standard deduction. A few proposals have been introduced in Congress. An Indiana University study found such a deduction would increase charitable giving by about $18 billion. Some advocates are also pushing to have the charitable deduction deadline pushed to April 15. If that were the case, filers would make more logical giving decisions based on their tax returns, Christopher said. “That has a fair amount of traction in Washington right now,” he said. In the absence of legislative solutions, Christopher said he encourages donors to bunch their gifts and donate every two or three years instead of annually. That allows them to itemize and claim a large deduction in the year they donate, and then return to taking standard deductions in the off years, he said. He is also championing a little-known provision of the tax code that allows people who are at least 70½ years old to make direct rollover gifts from individual retirement accounts.